British publisher Modiphius, is taking to crowd-sourcing platformÂ Kickstarter.comÂ to bring its dark vision of a secret World War Two to life. Achtung! 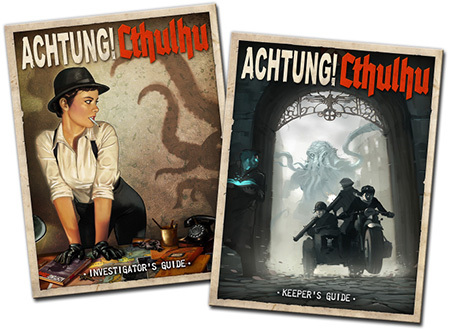 Cthulhu – Keeper’s Guide to the Secret WarÂ features a fantastic cover by Dim Martin, already well known to Achtung! Cthulhu fans for his inspiring cover and interior art for the Achtung! 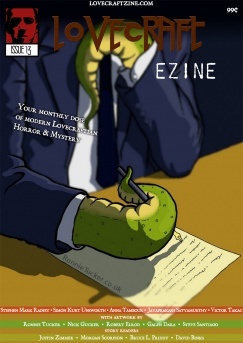 Cthulhu – Zero Point campaign.Â This is a full blown tome of dark knowledge that will detail secret Nazi plots, Allied & Nazi special forces & intelligence agencies, mystical missions and wonder weapon development, mythical organisations, campaign and plot ideas, key characters, vile creatures, and new rules for World War Two combat and equipment. All this and a whole shoggoth’s worth of Cthulhu villainy, enough for any Keeper to have his investigators dead, insane, or running for their lives! The Keeperâ€™s Guide to the Secret War will be the essential wartime reference for any Keeper or fan of the Cthulhu Mythos. Achtung! Cthulhu – Investigator’s Guide to the Secret WarÂ features a stunning cover by the legendary Spanish artist Pinturero which will be accompanied by amazing interior illustrations from Dim Martin. The Investigator’s Guide isÂ theÂ definitive guide to the late 30s and 1940s for use by players and Keepers alike. Inside you’ll find a whole kit bag stuffed with cool new occupations, skills, equipment, and backgrounds from all over Europe and the British Commonwealth. Find out how you can play as part of the Allied war effort, or risk everything within the ranks of the partisans or Nazi forces as one of the many brave heroes who fought to bring down the regime from within the borders of the Reich! As Modiphius meets stretch goals, you will discover the danger, terror, and insanity to be found on the shores of Europe, across the steppes of mother Russia and the sands of North Africa, down the streets of America, and deep in the jungles of Asia.Â A setting briefing will tell you about howÂ people thought, acted, and lived during the war – information that you can use to bring your characters and NPCs to life. You’ll discover what life was like serving with the different military forces and on the Homefront, and to help you create both player characters and NPCs, you will find an array of both historically correct and fictional backgrounds, or alternatively you can run through the background generator to find out what dark secrets your past contains.